At the core of the Atma Ayurveda experience are programs I’ve carefully sculpted that allow me to give much more extremely personalized advice day-to-day beyond just appointments. You only get one body. Are you going to let bad habits break it down? Or will you build good habits to strengthen it up? Get back to bold living with practical wisdom unlocked from the secrets of Ayurveda & Yoga. Become the best version of You! 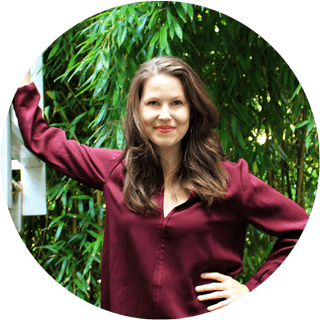 At the core of what we do at Atma Ayurveda are programs that I’ve sculpted that allow me to effectively give extremely personalized advice – and be more involved. Healing at Atma Ayurveda begins with a plan for your coaching program & treatments. There are 2 types of treatment programs at the clinic: Panchakarma and Clinic Treatment Package. Both programs include the Vitality Recharge Program. Once enrolled, both programs give you access add treatments at the clinic for the program duration. To get to the level that you can really make use of Ayurvedic advices, some simple universal foundations have to be in place. If you don’t have these solid, it will always hold you back from improving your health for good. But once you get them down, your possibility of increasing your vitality are endless, at any age, no matter your starting point. The results I got were definitely worth it. I don' think there is any pricetag for expressing the feeling of having control over your health and knowing how to improve your health. I know that what I've learned and the way the information has been transferred to me has changed my life. I have read many books about Ayurveda and never have implemented what I read in such a way. When I started the Vitality Recharge, my main concern was gallbladder stones, small ones that had been discovered. Also, my challenge was making self-care a regular part of life, I just didn’t focus enough on it, and it affected my energy levels and fitness. I didn’t have enough time for it because I didn’t make time for it. Then did things sporadically but it all felt urgent and pressured. For example, I didn’t make time in the morning, and it made things stressful. It affected the beginning of my day at work because was in hurry to arrive. I was nervous right from the beginning of the day. Within the first season, I could appreciate little less overly emotional & taking things personally. Physically & mentally a weight has lifted. Before working with Susan, my energy was so low I was miserable waking to face my responsibilities for the day. I had strong migraines at least 20 out of 30 days per month, and my energy and weight were holding me back and I felt like the roles were reversed in my family - my kids were taking care of me. This was going on for years. I’ve worked with Susan’s advice and reduced the intensity of my migraines - now they are only tension headaches 4-5 days a month rather than 20. I’ve shed 17kg in 6 months, 12 in the Vitality Recharge program alone! Most importantly, I no longer feel like my kids have to take care of me, but I can take care of them, I’m not irritable with them and they’re learning life lessons in real time from watching the changes I’ve made. Being part of a group program gave me support when I had a difficult time & kept me moving forward, and I had other people to relate to who interested themselves in healthy habits. It fills a gap in what you’re missing in your own circles of family & friends where you’re always looking for support for healthy living but it isn’t there. In the Vitality Recharge program, there’s so much knowledge on how you can take care of you body in a good way - the self massage, the stillness, the sensory organ care, taking care of yourself inside & out. With the early to bed, set yourself up for not being tired the next day. 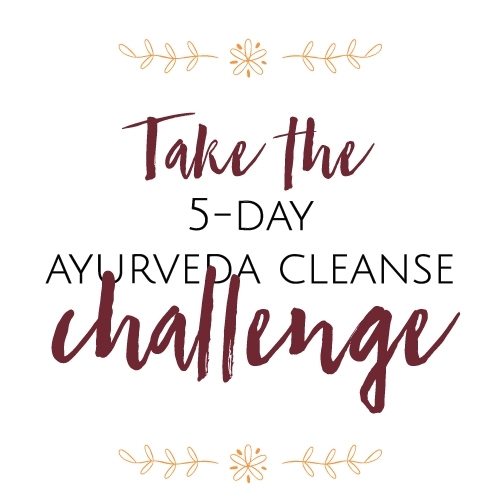 Ayurveda’s opened my eyes to how to care of yourself in a really good way. I came to the Vitality Recharge with an autoimmune disorder that among others things caused liver problems and a rather extreme bowel trouble, I had episodes when I would get a stomachache, have to run really urgently to the toilet, and became difficult to make it. It was affecting my ability to be out & about, and becoming embarrassing. Now I can breathe the pain and cramping away and relax knowing I can make it without accidents - that was a really big victory for me. Before the course I had complete lack of energy, bc I’d lost control of everything in mind, actually, that was something I hadn’t shown to anyone. I was relying on absolute willpower to get through my day at 50% capacity, and now I’ve got more energy - 75% - and it’s not even coming from willpower! I was amazed at the change, with such small changes, and I haven’t even used all the steps yet. I think I can get to 100% once I get going with all the habits. I’m waking to feel rested in the morning. The beauty is that your body follows these small steps and it’s so simple. These are things your grandmother would tell you, and it works because your body adjusts and gets the rest. I think it’s amazing, the simplicity of it, but it’s something that you don’t do until you get your head around it that that’s the best thing to do. The beauty is that your body follows even the baby steps and it’s so logical that your body would do so. All of these health problems also really affected my relationships. Most importantly, my relationship with my daughter is getting much better now. There’s much less panic & tension. We were like 2 fighting dogs, someone had to win, but that doesn’t happen anymore, not at all - I’m really amazed! It’s a relief to be able to connect with her again, and I know it’s because I’m much more rested, I’m much more at ease and she can see it and feel it, and I’m so grateful. I really am so grateful. I’m able to have more follow through. It’s great to see and hear the other voices in the calls. I really think I got it- I don’t let things stress me out. When i signed up for this i knew I was going back to somewhere where I already was, the inner peace is a state of mind I’m familiar with but I was lost to it, and I know now that I can come back to it. Half a year ago, my reaction to the all the things I wished I would have done, would have been stressing me out leading to the feeling that it doesn’t matter anymore, why should I bother, and cause me to give up - but I don’t react in that way anymore, I know I don’t have to get everything the first time around. It’s really something that I feel and know that the course did something that I needed to bring me back to my deeper inner peace. A year later I know what to do to avoid these problems to come back. Sometimes I feel that I’m drifting in the wrong direction, and know what to do to get back on track. I’ve gone back to the inner peace, it’s a state of mind I’m really familiar with, I know its there always, but I was a bit lost, this has gotten me back to it. I’m really speaking from what’s true for me. I really think that it I finally got it - the idea of not being stressed out. It really did for me what I needed it to do. The effect of the course was actually enormous. I was very energetic after the first round of Vitality recharge. I have to recognize it did me a lot of good. I’m really grateful to get inspired by you. Before the course, I was not able to control snacking in the evening, I was eating a lot of sugar in the daytime, and feeling really frustrated with myself because I would start things but lose the path. I felt sluggish in the morning and blamed myself because I just kept doing the wrong thing knowing it’s not good. The headaches I had from overeating are gone. I’m getting control over the eating, and also from exercise in the morning. Working the habits isn’t so hard. I’m enjoying doing other things at night, discovering a lot of things, and that’s very satisfying. Before the program, I was having awful problems with digestion, it was very uncomfortable in the evening and early morning. I always made sure I knew where the bathrooms were. I felt very unbalanced emotionally and my sleeping was horrible. I felt physically more on edge, easily irritated, not in a good mood and reactive. It affected my whole day. The huge difference for me was in my digestion – before the course I had awful problems – it was a 4 out of 10. Now it’s basically resolved – 9 out of 10. Lifestyle change is a bit daunting, but Susan did a great job explaining it step by step, and the smallest improvements became good enough. I lost 10 kgs, I had to go out and buy new pants! And I was only making easy changes, a few days a week. Energetically, I feel much more balanced, my sleep has improved. I’m forever grateful and thankful to Susan for letting me participate it really has changed my wellbeing greatly and my physical and mental being, and it really means alot to me and how much it has affected me and helped me in my life. I’m glad that the program Susan’s developed is such a success. You’re making a big impact on people’s lives with all your hard work as an Ayurvedic practitioner, you should be proud, because you’re really making a difference in many people’s lives. I have been struggling for many years with severe chronic pain, insomnia and no energy. I’m a very optimistic person but I couldn’t see a way out. When I found the Vitality Recharge program I felt hope for improvement for the first time in a long time. I felt deeply inside that going back to natural health care is the solution. Learning new habits requires time, and I really needed the reflection through the length of the course to work through my perfectionism, and give myself permission to find my healthy habits gracefully. Now, I’ve increased my energy 25%, I can swim so much further than when I started, without the severe consequences of back pain. Before it would take me 4-5 days to recover, now it’s 1-2 days. Now I have a feeling normal healthy muscle fatigue. Since I've visited you and am integrating your advice in my daily patterns, I feel much better. So thank you for that, it's a miracle! After each session every nerve and muscle within my body felt at peace. It feels like you are floating after the treatment (Pinda Swedana). Everything falls into place and you have the energy and the clarity of your mind for doing anything you want. We usually expect some results after the first encounter – which was happening truly – but I just cannot be more amazed, grateful, happy to realize all the incredible long-term effects after our first meeting. Yeap, meeting Susan and her introduction and guidance into Ayurveda is a truly life-changing experience. Period. It has been 2 months or so since, and I have never been so ALIVE in my life before!!! with capitals. You cannot expect to change your life overnight, but due to the personalized, professional and experienced guidance from Susan, it is up to us to become healthier, more balanced and connected, being able to receive love, respect, and achievement from all the angles of life. Thank you, Susan!!! It all starts with your complimentary 20 minute Health Strategy Session.The Ayurveda Clinic focuses on long-lasting health solutions, therefore, we suggest you start with a 20-health strategy session to then see which package/treatment best suits your needs.